Member of 1977 State Class “A” Basketball Champions which included Earvin Johnson. Drafted by the Detroit Tigers in the 7th round of the 1978 amateur draft. Spent parts of 14 seasons in the minor leagues, winning batting titles in 1985, 1986 and 1989. 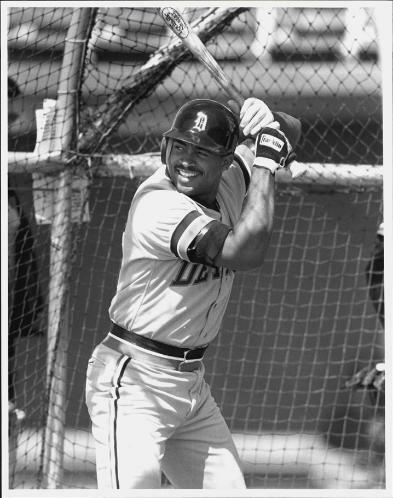 Played Major League Baseball for the Tigers in 1986 and the Seattle Mariners in 1988, 89. Manager of Class-A West Michigan Whitecaps from 1997-2000, leading team to the league’s best record and winning the Midwest League Manager of the Year Award twice. Coached the Triple-A Toledo Mud Hens for two seasons and has been the hitting coach for the Detroit Tigers and the Cleveland Indians.